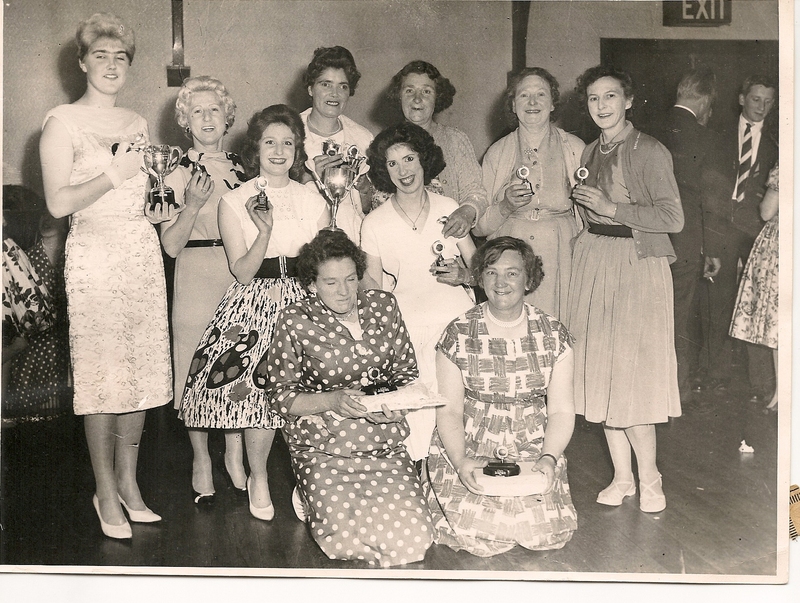 This is a picture of the Crown Ladies Dart Team when we won the League in 1959/1960. Back Row left to rt Mary Kathleen Burr [my sister], Mrs Ray Buckingham, Mrs Ellen Burr[Nell] captain [my mum], Mrs Alice Worby, Mrs Livermore, Mrs Bibby Nuth née Livermore. Front row Rose ?, Eve ? cannot remember their surnames. I was 15/16 years old, but we were allowed in The Crown with parents, no alcohol, there was nothing else up Langdon Hills socially. As one of four girls we were not allowed down into Laindon, ie; Memorial Hall, no way of getting home other than walking. Street lighting was very poor [gas lamps] especially once you left the main road, plus there were a lot of young men around from the Army Camp. Ellen, you must be some relation to my very good friend Alan Burr who lived at 2, Dry Street Cottages. We were in the same class at Langdon Hills, Laindon High Road and Chelmsford Tech. Sadly, Alan died a few short years ago. He also had a cousin Pat Burr. It seems that all the Burrs lived up the hill. Hi Alan, Yes Alan Burr was my cousin, also Pat Burr, I am one of 22 cousins born from the Burr line from Langdon hills. We go back to Langdon Hills from the mid 1800’s. Alan died 3 to 4 years ago, he has a brother Geoff who I still see occasionally and likewise his sister Jenny and her husband George Lindsay, he has another sister Phyllis. I saw Pat Burr about March this year, I took him a copy of our family tree,he is not in the best of health, but it was nice to see him, we all still live locally. Hi Ellen. Yes I remember Alan’s brother Geoff Burr. He was about two years younger than Alan and was a classmate and friend of my younger brother Tom. There was a third group of brothers with two years between them. Peter Sefton was a classmate of Alan and I but I lost touch with him when he went on to Grays Palmers from Langdon Hill elementary school. Peter’s younger brother, Michael, was similarly a friend and classmate of Geoff and Tom. The Seftons lived somewhere in Alexander Road. I think I heard somewhere that Pat Burr married a cousin of mine. If so that probably makes you and I ninth cousins thrice removed. You say you all still live locally. Fate decreed differently for me. After several moves I am now retired in Savannah, Georgia, USA. Ellen writing of the era 1959/60 states there was no social venue in Langdon Hills at this period. 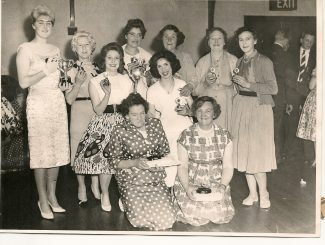 Surely the Hut Club (or WI) was in existence at this time, as other writers have written in respect of its recreational facilities and also amateur dramatic presentations. Hi Mr Diment, Yes there was the W.I. Hall, we were still a fair stretch further up the hills from Samuel Rd. I think a large part of our upbringing came from the social background we grew up in, it was just part and parcel of our way of life.